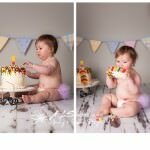 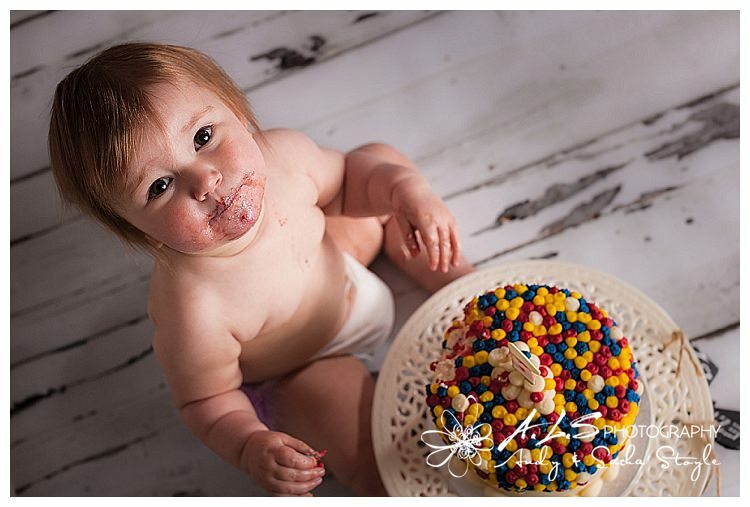 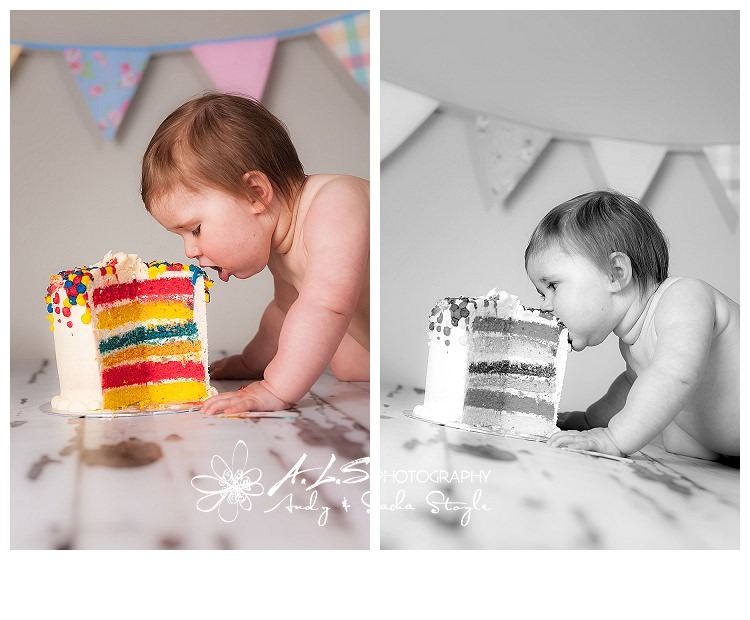 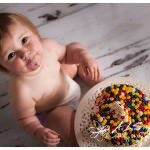 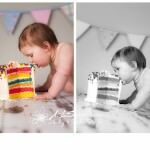 This was our first ‘Cake Smash’ and we had so much fun! 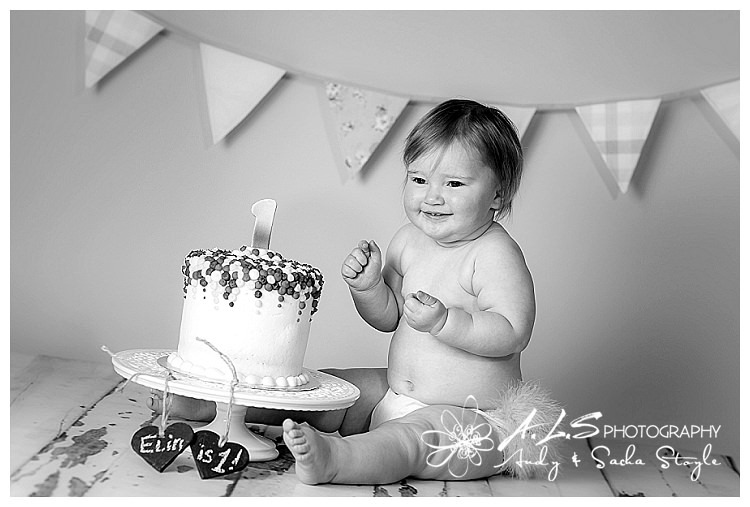 Elin didn’t so much as smash but delicately pick at the cake and clearly enjoyed the taste as each mouthful was followed by a ‘Mmmmmmm’! 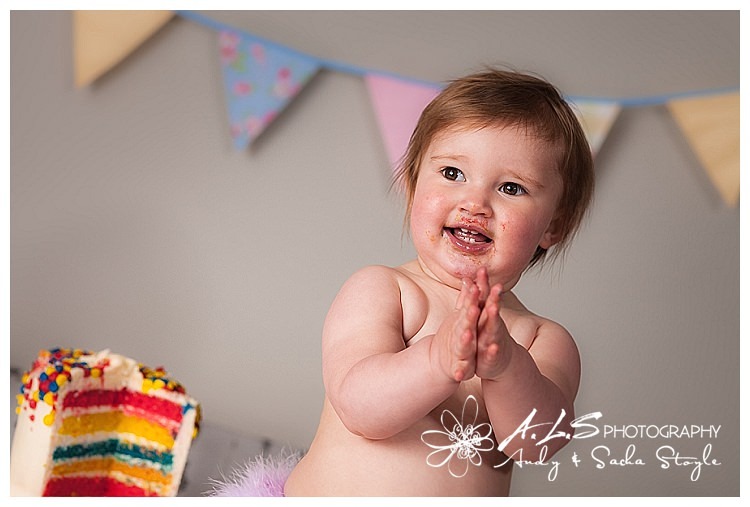 The Rainbow Cake was provided by Happy Occasion Cakes in Cwmbran and was delicious – as usual! 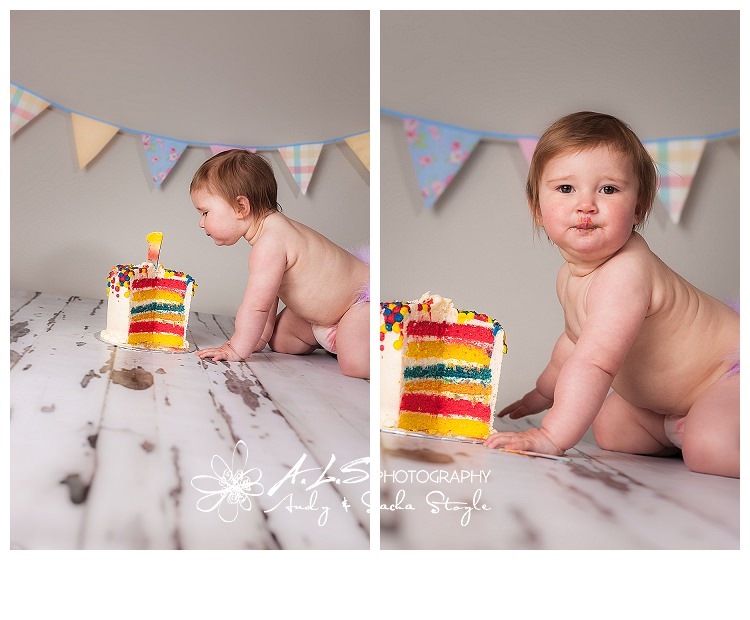 They make bespoke cakes to order. 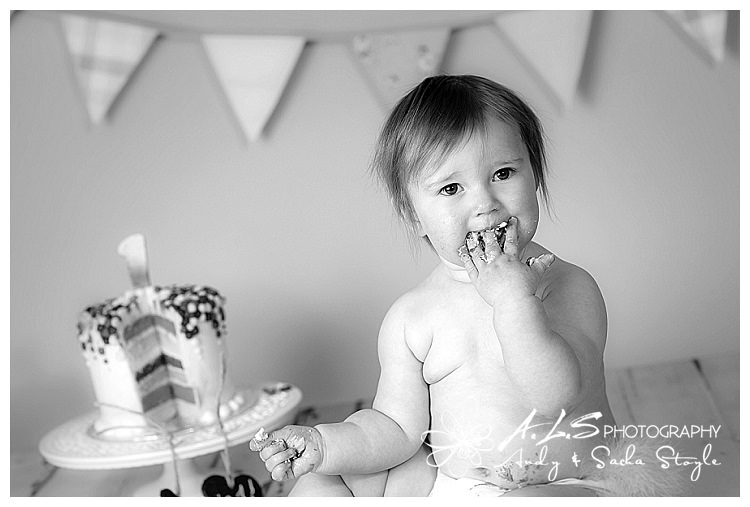 We provided the cake stand and bunting and Mum provided the ‘frilly pants’. 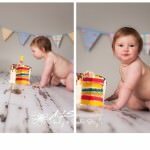 This portrait shoot is the last in the ‘Bump to Baby and onwards Package’, Mum, Rachel, didn’t want the maternity shoot but we first photographed Elin when she was 10 days old! 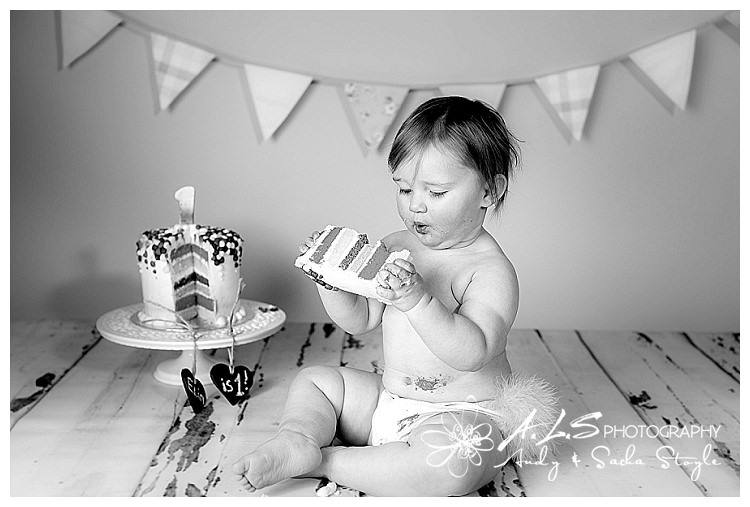 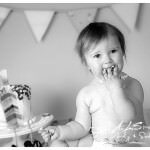 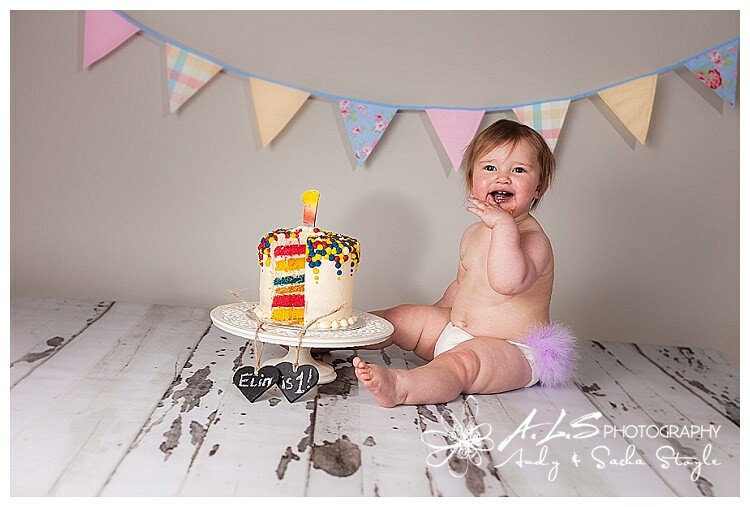 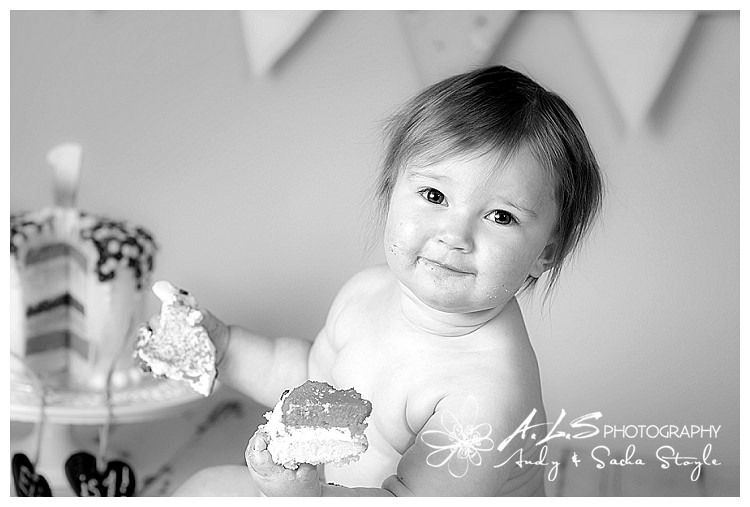 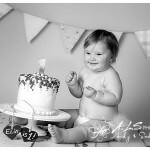 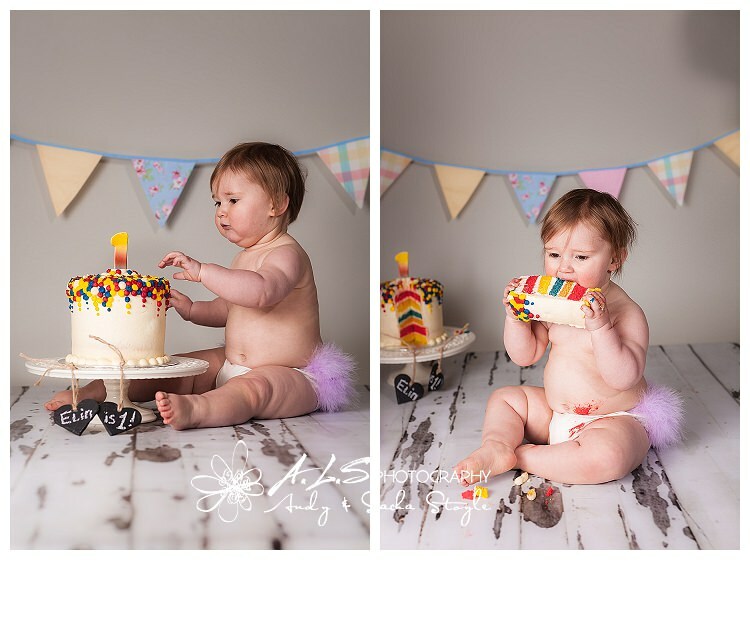 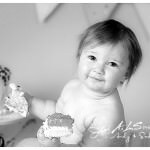 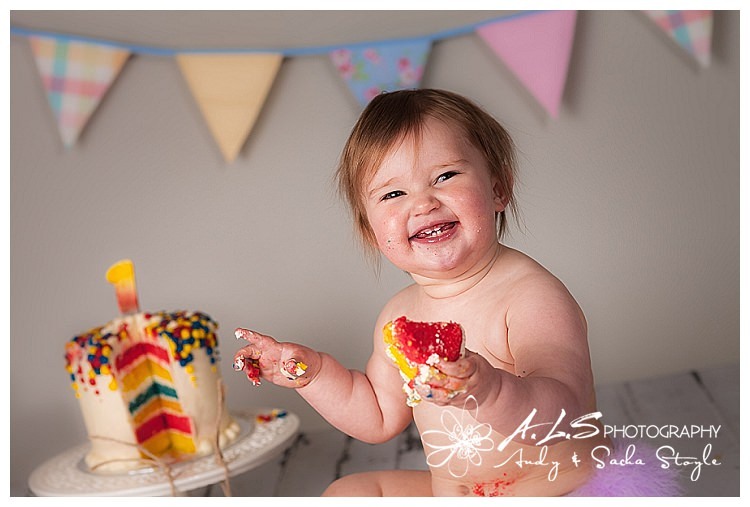 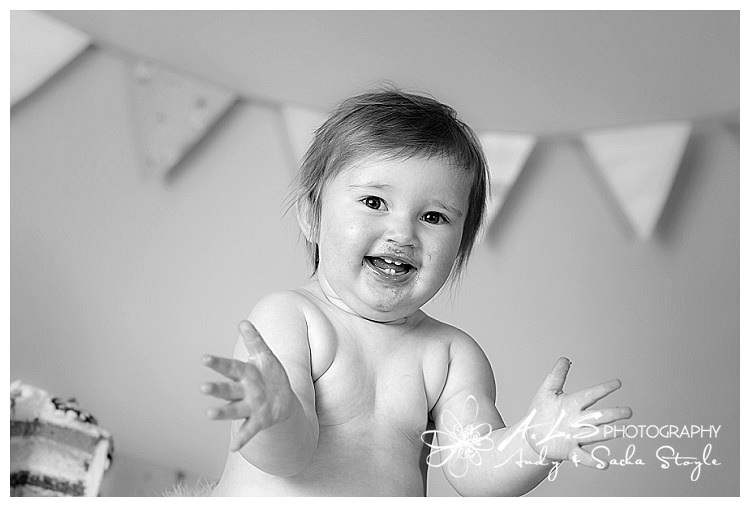 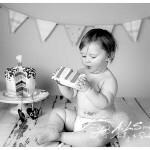 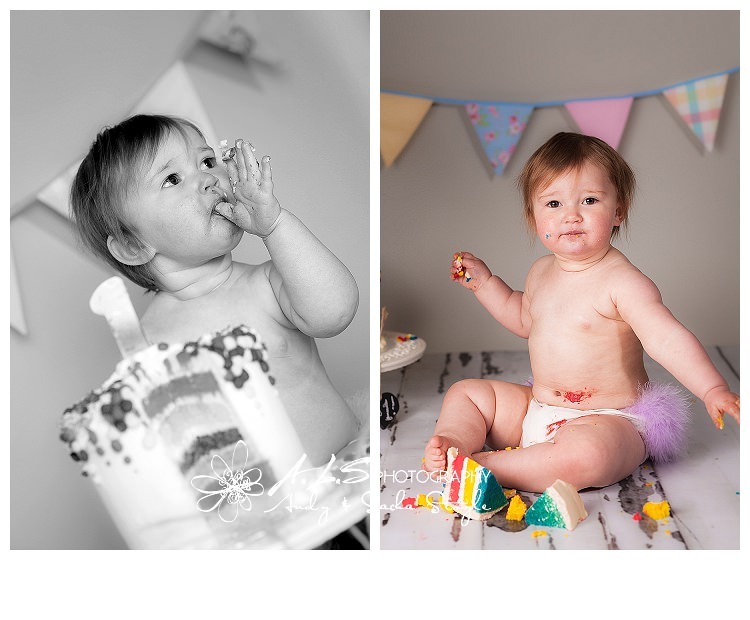 We hope to be able to continue to photograph her throughout her young life and mark milestones with fun photo shoots! 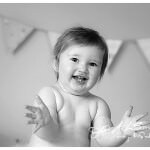 Our style of portrait photography is a mix of documentary photography, unobtrusively capturing moments in a natural environment where the children feel comfortable. 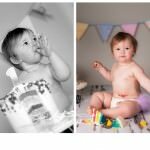 For a further look at our images of our South Wales Portrait photography, please have a look at our Gallery or other Blog Posts and if you have any questions about our services don’t hesitate to leave a comment below or contact us.